We have compiled our Absorption Rate Snapshot for the Deer Valley Resort real estate market as of August 1, 2013. As we report monthly, below you will find the highlights of this analysis. We compile these numbers on a monthly basis looking for trends and the trends, for the most part, continue to show market improvement. 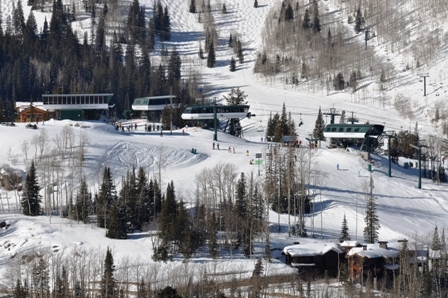 When we refer to the overall Deer Valley Resort real estate market below, we are including the following submarkets: (i) Lower Deer Valley, (ii) Upper Deer Valley, (iii) Empire Pass and (iv) Deer Crest. 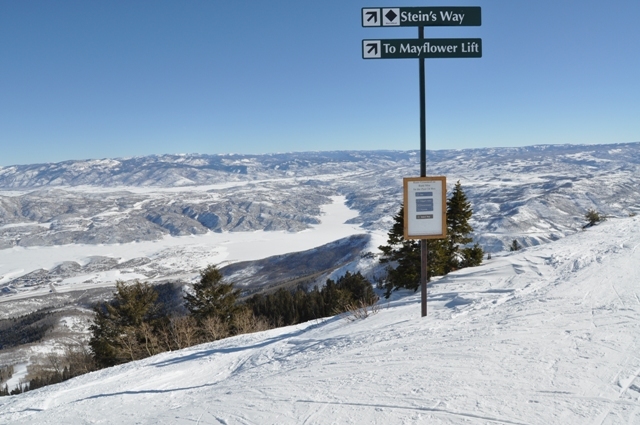 We compile inventory statistics for each of these submarkets as well as the overall Deer Valley market, so if you would like more specific submarket information, please let us know. Single Family Homes: As of August 1, 2013, there were 69 current active listings in the overall Deer Valley single family home real estate market, 2 under contract and 38 homes that have closed escrow in the past 12 months. This represents 22 months supply of available single family residential inventory. 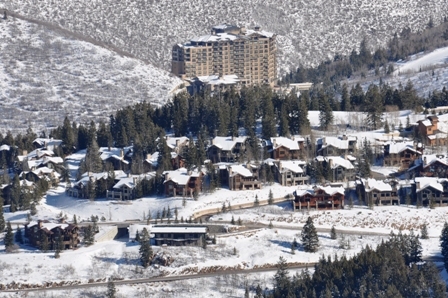 Condominiums: There are currently 129 active listings in the overall Deer Valley condominium real estate market, 12 under contract and 112 condominiums that have closed escrow in the past 12 months. This represents 15 months of available inventory. Although these numbers continue to reflect an overall buyers market for the Deer Valley Resort real estate market, the yearly trend does continue its steady movement back toward market equilibrium. Posted in Uncategorized | 0 Responses to "The Deer Valley, Utah Market Absorption Rate Snapshot  August 1, 2013"
Jim Barth & Associates, through Summit Sothebys International Realty, now offers you market video Deer Valley real estate updates that provide market trends based on current and historical data from the Park City Board of Realtors. 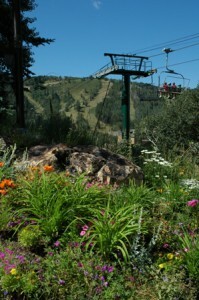 The Deer Valley monthly market updates are segmented by area and type of property. Empire Pass Single Family Homes. For more in-depth analysis and thorough property evaluation, please contact us at 435-901-3050. Posted in Uncategorized | 0 Responses to "Empire Pass 2013 Monthly Market Update"
Deer Crest Single Family Homes. Posted in Uncategorized | 0 Responses to "Deer Crest 2013 Monthly Market Update"
Stein Eriksen Lodge Deer Valley is constructing a brand new ballroom in one of its largest expansion in more than three years. The construction is already well underway and the luxury resort plans to open the new ballroom in May. This project is the first meeting-space expansion since the 2002 Winter Olympics. The lodge is doubling its meeting space and enclosing a larger portion of the space for guests. The new ballroom will seat 500 guests, making it one of the largest meeting spaces in Park City. An entire wall made of retractable glass will open onto an additional 3,700 square feet of outside terraces. Costs for this project are estimated to be more than $5 million. 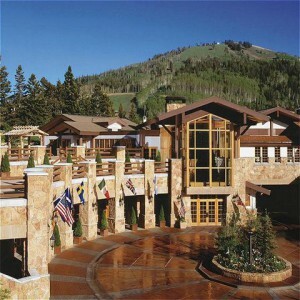 Posted in Uncategorized | 0 Responses to "Stein Eriksen Lodge Deer Valley Invests $5M"
The Deer Valley Music Festival, which will be celebrating its 10th anniversary this summer, has announced an exciting line-up for the 2013 season. 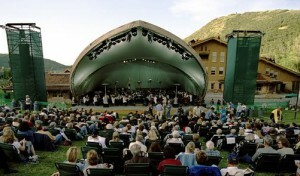 The Deer Valley Music Festival is Utah Symphony | Utah Operas (USUO) summer home in the mountain resort town of Park City, Utah. The festival provides chamber music, classical, and pops offerings in several venues, including the Deer Valley Resort Snow Park Outdoor Amphitheater, St. Marys Church, Temple Har Shalom and salon events in private homes in the Park City area. Highlights of this years festival include appearances by Arturo Sandoval, Steve Martin and the Indigo Girls, the music of John Denver and the Rolling Stones, and the 50 years celebration of James Bond movies. Also, on July 5, 2013 the festival will be holding its 10th anniversary gala at Montage Deer Valley. The Utah Symphonys Tad Calcara and The New Deal Swing will start out the evening on the grand terrace, performing the best swing songs from the 1940s. The main event of the evening will honor the Deer Valley Music Festival founders while enjoying a three course meal prepared by the Montage Deer Valley chefs. Performances by the Utah Symphony, Soprano Lisa Vroman and contemporary string trio Time for Three will be showcased during this celebration. June 29 | 1812 Overture! For more information, please contact us or visit the Deer Valley Music Festival website. Posted in Uncategorized | 0 Responses to "The 2013 Deer Valley Music Festival Schedule"